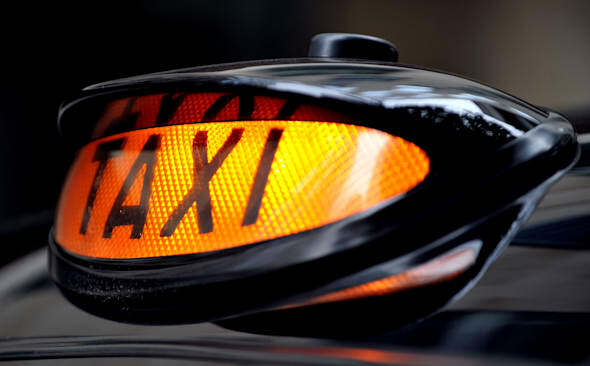 Undoubtedly taxi drivers have their fair share of stories, but one driver's latest tale involves a walking stick wielding 69-year-old who beat him round the head with it, after thinking he was going to be late for an opera performance. Opera lover Peter Williamson beat the taxi driver around the head because he believed he'd miss the start of a Puccini show. Retired doctor, Williamson could now face time in prison after admitting causing actual bodily harm to the cabbie who had been driving him to the opera in Holland Park, west London. The 69-year-old ex medic is reported to have shouted at the driver: "Where are we you f****** c***? ", reports the Mirror. Following this tirade of abuse, driver Kevin Johnson kicked Williamson out of his cab, dropping him off at a cash point on Kensington High Street. However, as Williamson walked past the cash point the driver climbed out of his taxi and pointed out the cash point to him. Subsequently Williamson lifted his walking stick and proceeded to strike the driver's head with the handle. Williamson, who is a fellow of the Royal Institution, admitted assault occasioning actual bodily harm at Hammersmith Magistrates' Court, reports the Telegraph. The court heard that he had been on the way to see a lesser-known Puccini show, 'The Girl of the Golden West' on January 17. Prosecuting, Helen Clutton said the driver had picked up Williamson in Wimbledon, but by the time they had got to Earl's Court he had become irate. She added: "The victim could not understand why Dr Williamson was getting so irate and wanted to get him out of the taxi as soon as possible." Following the assault, Mr Johnson was left bleeding and in need of stitches with a two-inch wound. Williamson will now face sentencing at a hearing at Hammersmith Magistrates' Court on September 18.